Disclosure: I am a Command Brand sponsored blogger. Opinions are my own and additional products used in the project were selected by me. The inside of our home is fully decorated for Christmas, but our exterior is still lacking! Our front porch is the next big thing on my list. I started decorating this weekend by making a new Buffalo Check Wreath that goes perfectly with the rest of my holiday decor this year. I mean, buffalo check and plaid are all the rage this year, right?! I’m going to give you a quick tutorial on how to make this really simple wreath and a trick for how I hung it on our glass door. Our front door is almost all glass and super tall, so hanging a wreath has been challenging. The door hangers are too small and I don’t want to damage our front door with a nail or screw. I was really happy when I tried the Command Brand Outdoor Window Hooks . 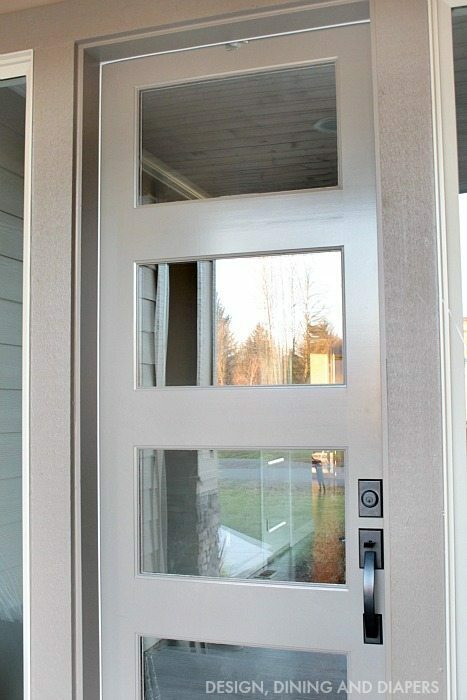 They easily adhere to the door and peel off just as easily. It looks perfect and it’s not super distracting which I love. Here is a quick tutorial on how I made my wreath along with a few tips on putting up the window hook. I started with a Wire Wreath Form and a Buffalo Check Scarf. You want to leave a good amount hanging off (about 8 inches) and then carefully wrap the rest around. I didn’t use any glue. 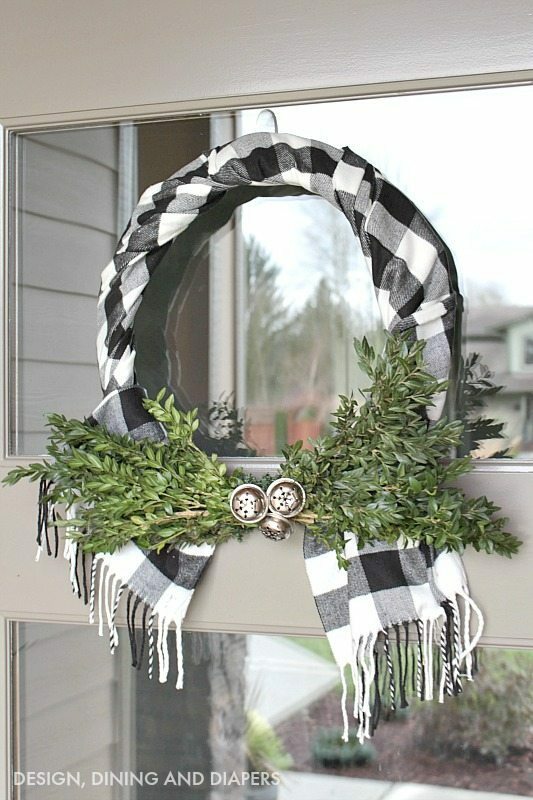 Then, leave about a 6″ gap on the wreath and let the remaining scarf hang down. 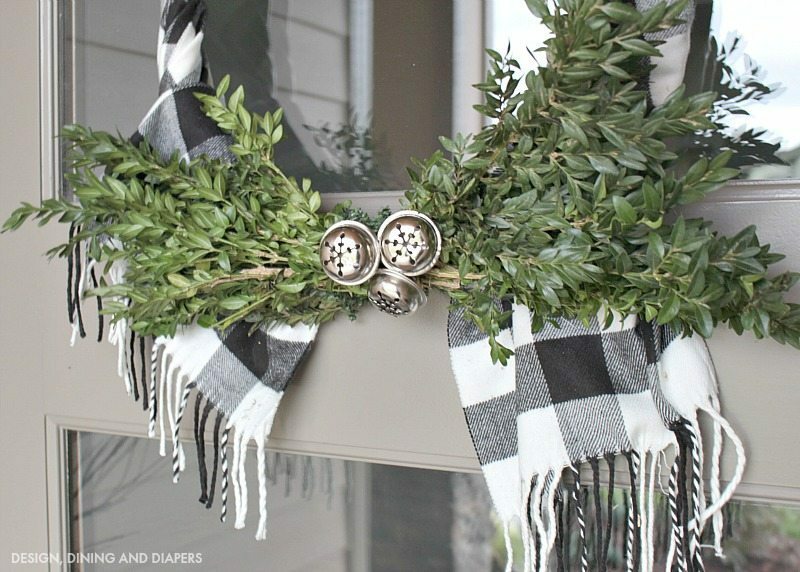 Using floral wire, tie some boxwood sprigs onto the wreath in both directions. To hide the branches I added 3 silver bells. Here is what my door looked like before. I love our door but it’s always nice to add a little holiday cheer to spice things up. I love these Command Outdoor Window Hooks . I also love that they come with multiple adhesive strips because I’m always changing my mind! I peeled off the backing and pressed it firmly against a clean window. Then, I peeled off the opposite and put on the hook. Hopefully I’ll have the rest of the porch ready for the holidays soon too! 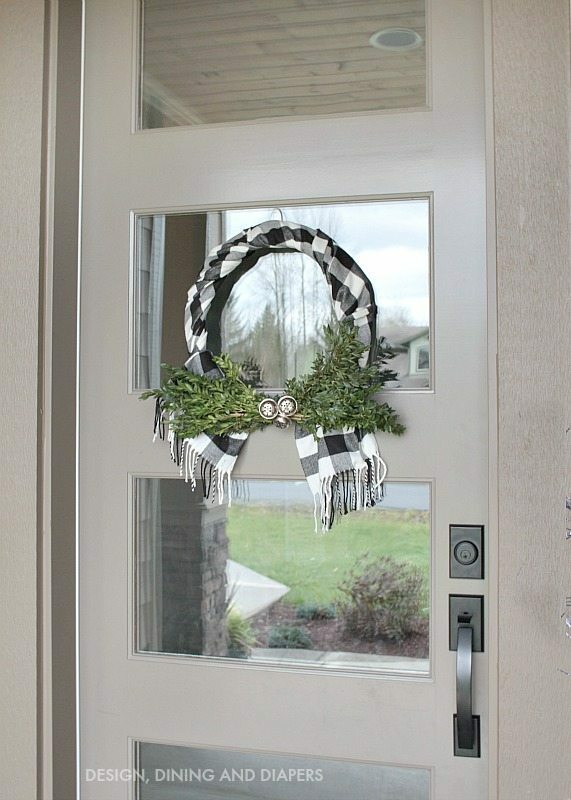 This wreath is so pretty Taryn, I love the buffalo check! I didn’t realize Command made adhesive hooks for outside!